Hello fellow Sound Pros I'm looking for feedback on an idea I have. I thinking of getting a NEVE portico 5015 onto set because Im not happy with my SD 788T pre amps. 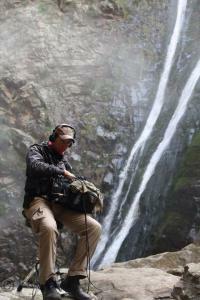 I find the noise floor too high especially when doing quite ATMOS tracks in the AFRICAN bush. http://rupertneve.com/products/portico-5015/ The unit can run on 15 VDC, I can get a converter built to run from my BDS. It also has good RF rejection because of the transformer based electronics. But is it really a good idea for dialogue? I'm trying to get hold of a NEVE channel strip here in Cape Town but it's proven to be a difficult exercise . Is there too much coloration in the pre amp for film, and does it actually matter? most of the films done here in SA are either send back to the US or UK for post ( Where NEVE and SSL live in post ) or if it's local it is mixed using protools D command / control 24 / or some makie HUI controller and bussed / bounced using interanal plugins . I'm sure that Analogue tape used in the past had similar coloration aspects, and when used for film was very acceptable. Because I can't afford a Cooper / Sonosax that has all the range and sound, I thought that inserting a NEVE 5015 and bussing a 5033 before the 788T mic channels could 'give extra' to the sound quality. I can then have the choice between a CL8 or CL9 as a controller. I would love to be able to set up and increase my dynamic range to get the softer bits in performance while also 'grabbing' high transients when performances in the same take reach higher levels, with-out riding the front end gain and not feeling the compression. Thanks Greg Albert Cape Town . hey Philip this is the one close to my house Cape town ! Sony F3, SD552 and SB-3. Double system. Thanks Mr Perkins It is my first shoot with the F3's and my gear check is only next week between reccies. Will a Time code fed comteck work with better with the Script E software ? This is what the scrip supervisor said : GREG: I will definitely be at the gear check thanks. I have also done an interesting test using the smart slate app from IPad. I let the time code run and held it up to my webcam whilst the software ScriptE was running. I entered the numbers and ran some test takes, and the time code logged and correlated to the smart slate app. So I am quite sure you will be able to sync up to the App on my Ipad or just directly into my laptop via the sound mini jack connector? We’ll test this out at the gear check too. I'm not too keen on all this apple app software arriving on set as a solution most of the time ! but I will have to roll with it an entertain other departments on the idea and gear check with it too. When in "Rec Run "/ Auto rec mode don't use any pre roll. Rather roll for a couple a seconds ( checking the code from the recorder and slate ) before shouting SPEED. I'm starting a 6 week project with 2 F'3's. I'm using my 788t to jam the cameras and the script supervisors software "Script E". I read on the F3 manual that in rec run if the cards are changed the code has to be jammed again. So I'm going with free run TOD on the code. Also placing a G2 unit on each camera and splitting the 2 tracks on the camera with the internal mic and a scratch mix. Together with all of the reference I'm still gonna send an ID and pip after the clapper board. I think that is enough sync backup ! I'm pretty sure that the G2/R units cannot be powered externerly. Jonathan are thos batteries true 1.5V? Cause most of those system are 1.2 that I found. - can you send me the address for that place in milnerton? Oh and just to let you know too my 788 still hasn't arrived! I feel that the sonosax maybe was the better choice. Oh well next year maybe. I use politeness as the first step. Then when the request fall on deaf ears I ask for longer lenses cause a 2/3 feet with a super cardiod can help, and then if that does not work I approach the AD and say that I'm adding time to the day schedule for an FX run on the scene because the sound was compromised. by then carpets are down too with lavs and off micing the boom from the camera. Most of the time the AD will help to avoid overtime at the end of the day. The last step is to put reasons for bad sound in the reports and "walk away". Steady cam seems to get alot more of the attention any way. I've used Wave agent for the past 3 years now. Not having the Cl1 controller I resorted to using "Short hand written notes" then edited it onto the metadata later. This process is annoying cause you have to always "go back" to apply edits and remember the full reasons for you comments. Now days I keep it simple. I write everything during the day by hand on carbon copies and slate a fare about of information on the takes too. And if the editor is lucky i will quickly process PDF's for timecode info or any other detailed meta data. I reckon if there is space for an Ipad then there is space for a sound report book. Plus the production pays for the books out of the consumable budget . i have just completed a job with x2 5d's and a 7d. I used x3 G3 units with hot shoes for the camera mounts. A+B camera where on medium primes and C camera was on a longer lens most of the time. We recorded in double system mode. Most of the performance was not scripted and A+B camera handheld. I recommended that a clapper board be used with no stop starts within the rolls/ takes. a good ID and pip either @ start or end created enough elements to use for syncing the pictures. I even use this process on RED cameras. Also setting the code to time of day and have it appear on the PDF reports helps the offline "track" the rushes with the script supervisor's day log.